THE ONE, THE ONLY! THE MELTDOWN! HBR Inflatables has the CLEANEST and best variety of inflatables for rent in South Georgia. We have a wide variety of water slide rentals, dry slide rentals as well as bounce house rentals, obstacle courses, Inflatable Games and the Trackless Train. 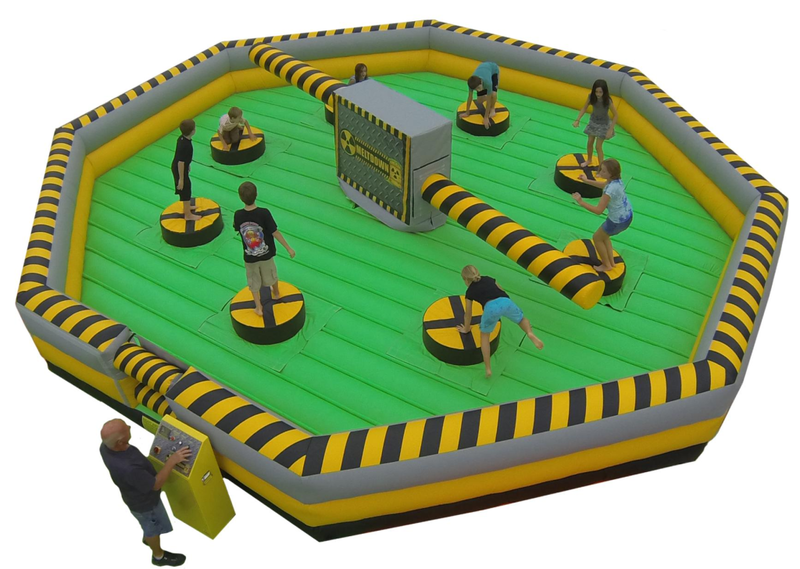 HBR Inflatables has everything you need to make your next party a success. We have cotton candy machines, snow cone machines, popcorn machines, as well as tables and chairs. Our party rental equipment is always CLEAN and in perfect working order. We also have a Dunk Tank, The Meltdown and The Mechanical Bull – Best Mechanical rides around! Check it out! Looking for the perfect addition to your next birthday party? No matter what you call them (a bounce house, a combo, jump house, inflatable, slide, water slide, obstacle course, trackless train or anything else) you should look into renting one. They’re safe, fun, affordable, and kids love them! Contact us and we’ll help you choose the perfect inflatable for your next occasion.